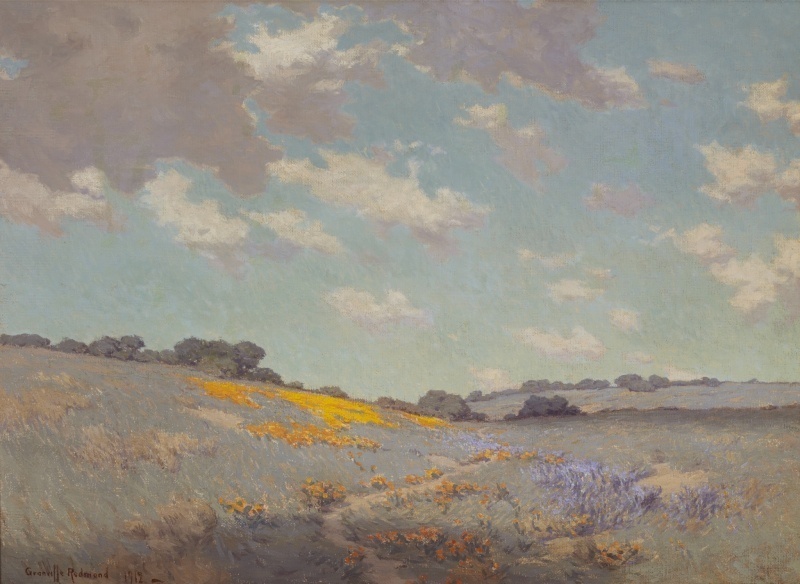 In celebration of National Poetry Month, several Crocker fans took inspiration to pen from viewing "Patch of Poppies", 1912, by Granville Redmond. Will it abruptly terminate, maybe surrendering to human habitation and artificial structures? Or does it go on, revealing more natural wonders, or even circling back to form a loop? Not so much the destination. a splash of orange and red. My heart starts beating wildly. I turn and see a field of poppies. I drink in their beauty and become sleepy and lie down. Blue veins flow with life. Nothing that might be waiting over the rise attracts me now.